Patients of ten re-coil in horror at the very mention of this treatment. It is, however, a very effective way of saving an infected tooth and getting a patient out of pain. The only other way is to have the tooth removed! Teeth need root canal treatments for many different reasons but the most common cause is due to a tooth infection cause by tooth decay. The bacteria reaches the nerve (pulp) and cause inflammation and pain which can often be unbearable. 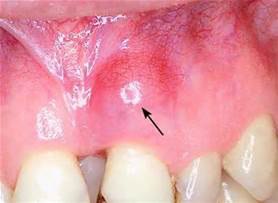 The inflamed nerve then dies and the body starts to reject the tooth causing an infection and dental abscess. 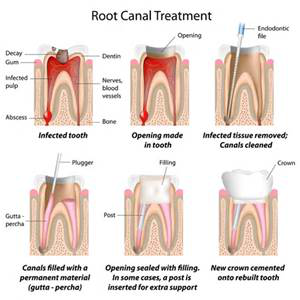 Root canal treatment allows a Dentist to clean out the dead pulp and access the infection to drain it. The body then should stop rejecting the tooth and allow healing. The treatment is under local anaesthetic and should not be painful. It can often provide instant relief to someone who has been up all night in pain. 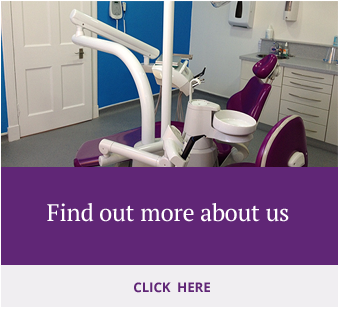 The treatment can be over 1 or 2 visits depending on the severity of the infection or the type of tooth (molars have up to 4 canals and may need more time for treatment). 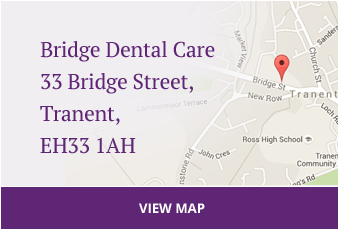 The canal system is accessed through a small cavity created by the Dentist. The canals are cleaned with files and irrigated with a cleaning agent to try and remove bacteria. They are then filed to allow the canals to be filled with a substance called Gutta Percha. The tooth is then restored with a normal filling or a crown.